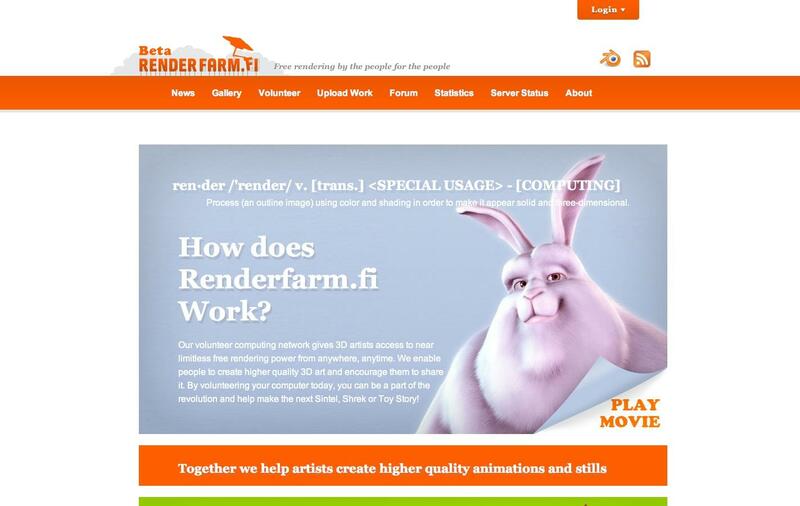 Renderfarm.fi – Making movies with a screensaver is the most accessible rendering platform available on the Internet. It is – and intends to remain - a completely free service that enables its users to render their animations or stills while engaging the computing power of volunteers from around the world. By using Renderfarm.fi, 3D artists and animators benefit from being able to use higher image quality and higher resolutions when rendering. Equally importantly, users participate in the rendering of stills and animations, regardless of whether or not they themselves are able to or even interested in learning about 3D modelling and animation. The stills and animations created can then later become parts of a movie that users help to create. 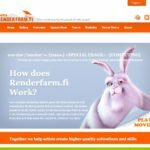 Renderfarm.fi encourages everybody to take part in both the online community and collaborative rendering, and advocates the use of open licensing (especially Creative Commons), open values and sharing of resources over geographic borders.